Wine … good for diabetes?! According to a New York Times article this week, a study, published in the Annals of Internal Medicine, people with Type 2 diabetes may benefit from a daily glass of wine, a study says. Israeli researchers randomly assigned 224 patients, all alcohol abstainers with well-controlled Type 2 diabetes, to drink 5 ounces of either mineral water, white wine or red wine with dinner. All followed a Mediterranean diet without calorie restrictions. 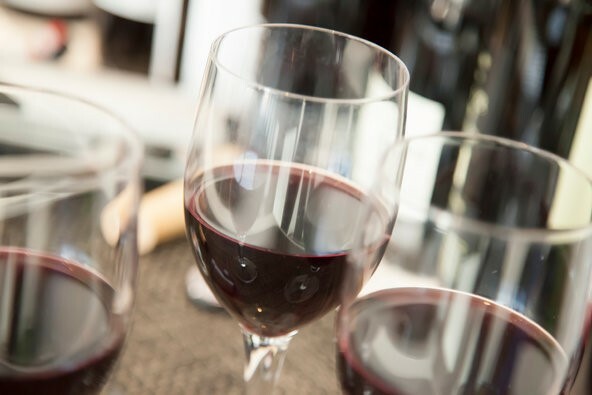 After two years, compared with the water-drinkers, those who drank red wine had increased their HDL (or “good”) cholesterol by about 10 percent, and significantly decreased their ratio of total cholesterol to HDL. These positive changes did not happen in white wine drinkers. The study found no adverse effects of the wine, and wine drinkers tended to sleep better.